Looking to buy one of the many houses for sale in Rexburg, Idaho? Great choice! The Rexburg area has a lot to offer from family homes with plenty of yard space to smaller condos and townhomes for single adults. Whatever category you fall into, Rexburg has the perfect home for you. If you need help finding the type of home that will best fit your needs, you are in the right place. We put together this guide to help you learn about the different types of homes for sale in Rexburg and the advantages and disadvantages of each. If you’re interested in an affordable home with low maintenance and a feeling of community, then a condo might be what you need. If you want to become a homeowner in the future, buying a condo is a great first step because it is like an apartment that you own. You own your living space and co-own things like the lawn and communal areas. However, you should be prepared to pay Homeowners Associations Fees for all the amenities you have access to. You will also have to live by the owner’s rules. Many condos place restrictions on things like having pets, decorating changes, and the number of parking spaces. Condos are ideal for retirees, single adults, or anyone who wants to own property at a low price. If you think a condo will fit your wants and needs, then contact us today to help with your search. Do you want more ownership than what a condo would give you, but aren’t ready to commit to a single family home? If so, you should look into buying a townhouse. With a townhouse, you are the sole owner of the home and the land beneath it. You will most likely have multiple floors and more space than a condo. Like condos, you will have access to amenities and will still have to pay those HOA fees. If you are considering buying a townhome, weigh the pros and cons carefully, and contact us if you have any questions. Don’t think a townhome is right for you? Then you should consider a duplex. 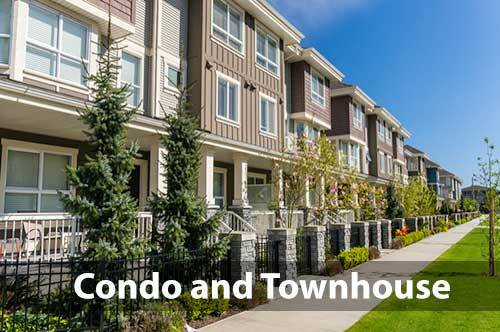 A townhome is meant for a single resident or small family, while a duplex is a two-unit home or multi-family residence. A duplex accommodates two separate families, but don’t worry, you each have your own entrance. A duplex also gives you the freedom to decorate and renovate as you wish. 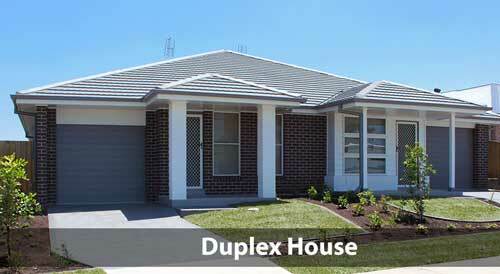 Duplexes are great for investors because you can own one portion of a home and rent out the other portion to a tenant. Duplexes are often more expensive than townhomes, but keep in mind you can bring in extra income by renting to a tenant. If you are a first time home buyer, but can’t afford a single home, you might want to look into a duplex. Similar to duplexes are triplexes and fourplexes. These are three and four family homes that are once again great for investors. Do none of the above housing options agree with your lifestyle? If so, a starter home might be what you need. 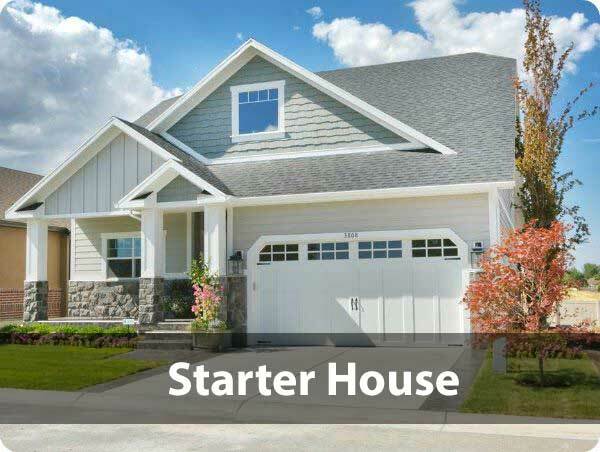 The huge advantage of a starter home is that it’s entirely yours! There are no neighbors to share a wall with and you can decide what changes you want to make to the property. With that being said, don’t buy a starter home unless you’re willing to pay more and take responsibility for the maintenance work. Rexburg is a great family community and we have many houses for sale that would be perfect if you’re looking to start a family. Similar to a starter home, a single family home gives you your own yard and freedom to decorate and renovate as you wish. 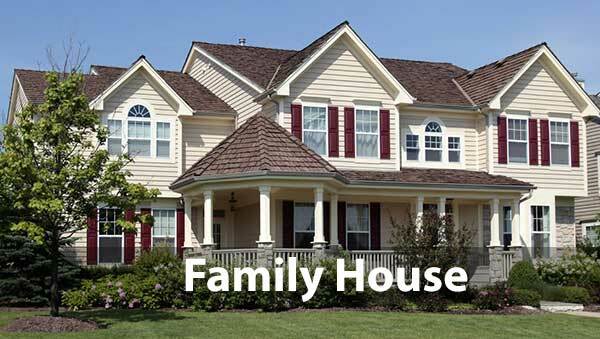 Single family homes can accommodate larger families and provide you with things like more storage and yard space. A factor that should contribute to which house you buy is location. The city of Rexburg is home to Brigham Young University-Idaho. Living close to campus is great for students, but if you’re looking for a home for your family or a place to retire, you may want to find less expensive land further away from campus. When considering location it is important to decide if your lifestyle will fit urban or rural housing. Cost of living in an urban area is generally more expensive than in a rural area because you are closer to stores and restaurants. Urban areas also provide you with more job opportunities and are closer to work and school. But if you are drawn to quiet, open spaces, then a rural area might be best for you. Their affordability, low crime rates, and open space make housing in rural areas a great option for families. You’ll also want to consider living in a planned neighborhood vs. a city neighborhood. In a planned neighborhood the HOA puts limits on what you can and cannot do. These limits are called CC&R's (Covenants, Conditions, and Restrictions). You may be allowed to only build a certain style of house with a certain color palette, or you won’t be allowed to park your car on the street or leave garbage cans at the side of your house. Planned neighborhoods also require you to pay HOA and New Owner fees. Planned neighborhoods are seen as restricting by some, but they do offer many advantages. They sometimes have grocery stores, parks, and restaurants that are within walking distance of the neighborhood. There are often amenities like parks, swimming pools, and tennis courts that are shared by the whole neighborhood, so you can get to know your neighbors. Planned neighborhoods are often gated communities, providing more security for you and your family. If you find those rules to be too restricting, then consider a city neighborhood. You won’t have all the restrictions and fees of a planned neighborhood, but you also may not have neighborhood amenities and extra security. There are many houses for sale in Rexburg, and finding one that is right for you can be difficult. Make sure to consider the type of home you want and its ideal location. Purchasing a home is often the largest expenditure you will make. It is important to have someone to look out for your interests during any transaction. Contact us today so we can help you with your search and purchase.